I’m a pretty loyal customer. I’ve used the same insurance company since I was 16 years old. I had the same hairdresser for more than 30 years until she retired from the business. I find services and people I like and I stick with them. And while sometimes that loyalty pays off, sometimes it costs us more. Such was the case with my cell phone bill. We had been using Verizon Wireless since about 2005. At the time, it had the best service in our area. But because we live in the woods, we were never really able to use our cell phones at our house. There were large dead zones between home and school and work. It was frustrating to pay a large bill when we weren’t able to fully enjoy the service, but we kept getting lured into new contracts with the promise of shiny new phones. After a decade of this, we started to notice all of the inexpensive pay-as-you go plans available like those at Straight Talk, Republic Wireless, Consumer Cellular, and Cricket Wireless. All of these plans had great prices. But some of them weren’t available in our area. Some said they wouldn’t let us bring our own phones. It seemed complicated to make the switch. We really didn’t want to replace our two perfectly good iPhones. We just wanted to pay less for cell phone service. So we started by talking with Verizon Wireless who helped us lower our bill based on our usage. But even after that, we were still paying $113 a month for our phones, and we still couldn’t seem to get decent coverage. Some friends told us that we should switch to AT&T, as the service was better where we live. Some research lead us to believe they wouldn’t save us any money in the long run. Plus, we were under the false assumption that a Verizon phone couldn’t work with AT&T. It turns out, that when it comes to the iPhone, we were wrong. Once we realized we could use our Verizon iPhone with AT&T towers and we were no longer under contract with Verizon, we started to look at other carriers that use AT&T ‘s towers. My parents had recently switched their basic phones to Consumer Cellular and had a terrific experience, so after doing some research, including reading a great review of them in Consumer Reports, we made the switch. Making the switch to Consumer Cellular was simple to do, and I found their customer service to be outstanding. They helped us keep our old phone numbers and get everything set up in just minutes. 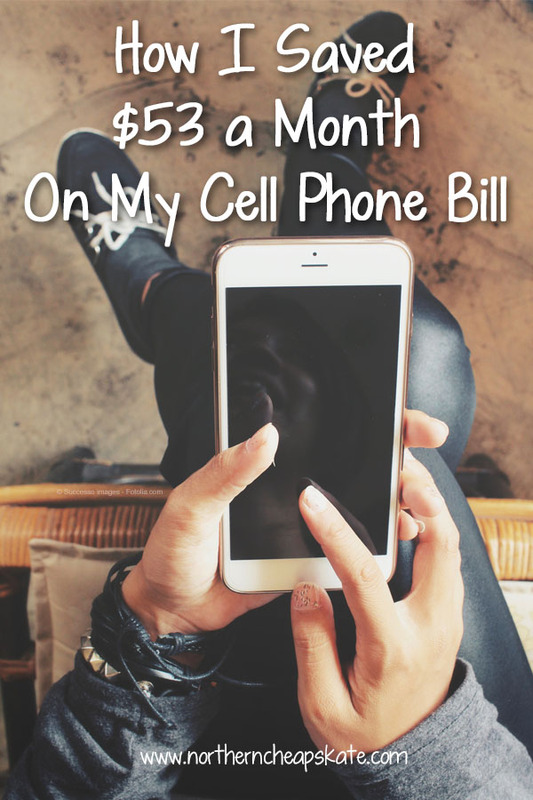 What was even more amazing, is that we are getting a cell phone plan that is just right for our family for $53 less per month than our old cell phone bill. With Consumer Cellular, we have two iPhones sharing 750 minutes and 3 GB of data and unlimited texting for just $60 a month. In addition to the savings, our cell phones now work much better where we live. We have peace of mind knowing that our phones will work if we have car trouble during our long commute. I know that I could probably have saved even more money with another pay-as-you-go service, but knowing that Consumer Reports gives Consumer Cellular such high ratings and the fact that I’ve already experienced great customer service has left me feeling like I’ve made the right choice for my family. And I’ve learned a valuable lesson: Don’t get too comfortable with those monthly bills. Sometimes it is good to step outside your comfort zone and try new things. You just may be rewarded with better service and more savings. How much did you have to pay for the replacement phones? That’s what holds me back. The initial outlay for 4 of us prevents any real savings by switching to something like this. We were able to use our old phones! So we didn’t have to pay anything! Check with various pay-as-you go places to see if you can bring your phone. Ok, I reread that part and I just hadn’t understood.I was confused about the using AT&T towers part with an iPhone. AT&T doesn’t work here – it was what we had when we moved here, and reception was non-existent in some key areas. The services I have looked at, Republic Wireless the most, all required new phones, and at about $200 a pop, just made it unrealistic for me to try them. You could always wait until you needed new phones to make the switch. Then you wouldn’t have to make the upfront investment. We have used Consumer Cellular for many years and are quite pleased with it. Welcome to the club. I am sure you will be happy. I’m happy to hear you’ve had good experiences with Consumer Cellular. My experience has been great so far!